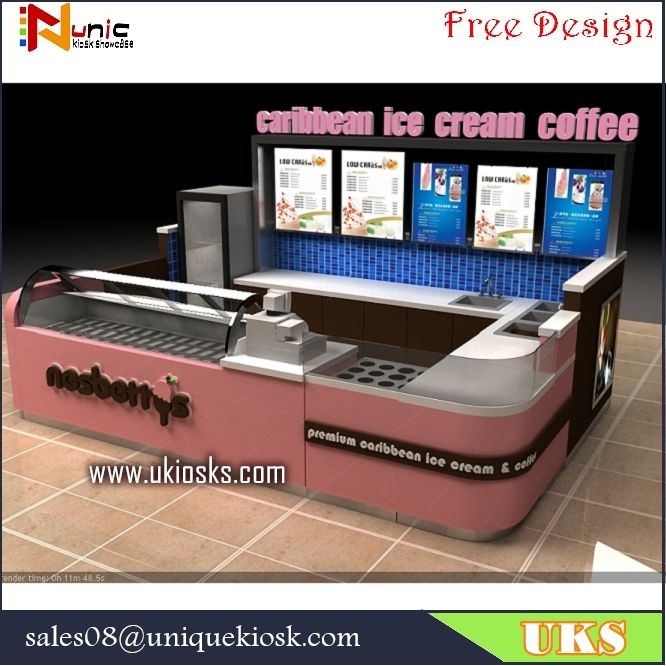 This is a food kiosk, name is “carbbeam ice cream coffee ” can sell ice cream, coffee, yogurt juice , bubble tea and so on, this kiosk mainly color is pink and white, size is 4m long*3m wide*2.2m hight , mainly material is plywood, laminate finish, artificial stone work table , stainless steel skirting , tempered glass around this kiosk , this kiosk with counter, cabinet, topping, display showcase, sink, light boxes, your Logo can light on this kiosk. Meterials plywood, laminate ,Stainess Steel, tempered glass , Light and Etc. Base Painting,Sanding after paint,Finish Painting,Packaging,Loading and Etc. 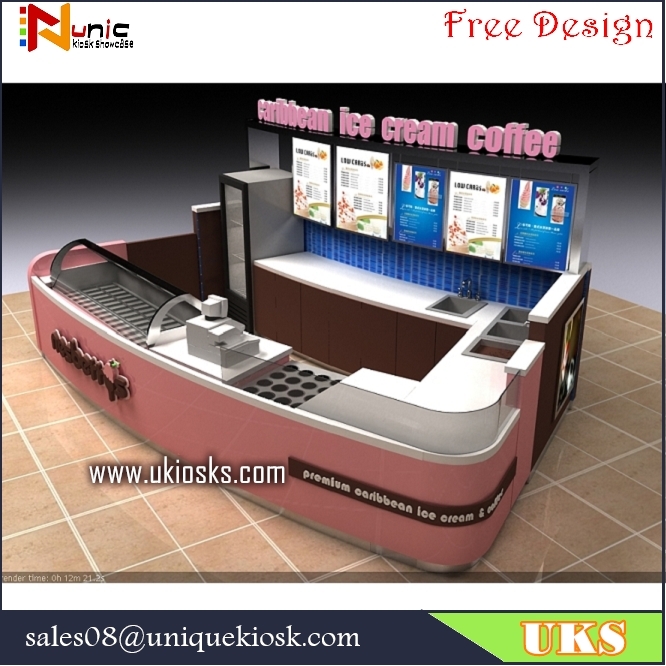 How to design a new kiosk for you ? Tell us all of your ideas about this kiosk, what foods you will sell on this kiosk ? what size of this kiosk is you need ? what color is you want ? your Logo, what machine you will used on this kiosk, all of anything about this kiosk can customized for you. 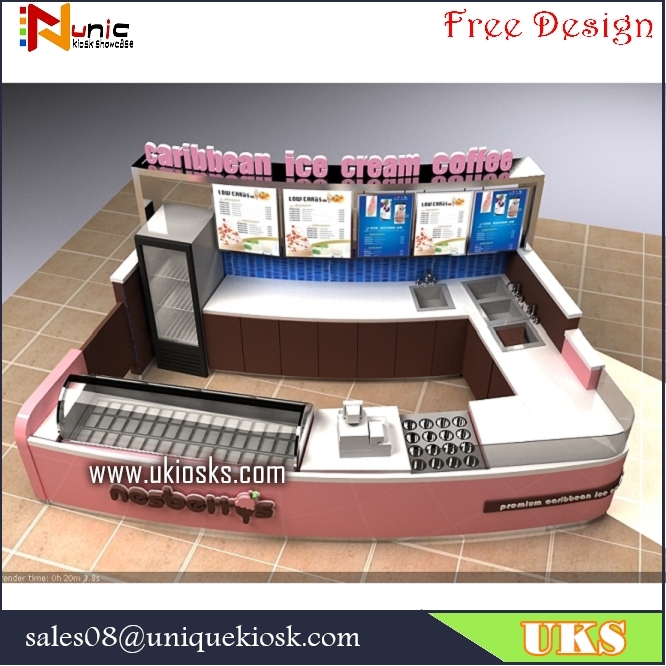 Send 3 D design for your check, any ideas bout this kiosk can tell us, we can change the design to you freely . learned to know all of your requirement, make 3 D design for this kiosk to you. when the design is confirmed, start drawing construction plan , payment 50% deposit, 50 % balance before shipping. production this kiosk to you. packing , shipping this kiosk to your port.